If you look at the best chemical free shampoos, you will notice one thing very clearly: the ingredients are very easy to pronounce and there aren’t that many of them. Indeed, shampoo doesn’t need a lot of ingredients. In fact, a typical shampoo only has about five active ingredients. Any more than that and you can probably be sure that it is laden with chemicals. Indeed, many of these chemicals have been added to shampoos for many different reasons. One reason is that these ingredients thicken, create an increase sense of cleansing and they add to the affordability of making the product. However, there are some companies that go the extra mile to create products that are actually good for you. If you want to spot the shampoos that aren’t good for you, you want to look for a number of ingredients that you want to stay away from. Here are five shampoo ingredients that you want to avoid. When you watch a shampoo commercial, you usually see someone lathering up his or her hair. Well, this is the sodium lauryl sulfate and it’s a lathering detergent. Basically, it makes it appear like you are building up a lather, but in the long run you are actually stripping your hair and skin of natural nutrients. Another thing you see in marketing is thick shampoo, coming out of the bottle almost like honey. The reality is that shampoo doesn’t have to be that thick. In fact, it should be mostly liquid. In order to get this thickness, shampoo companies pump in a detergent called polyethelyne glycol, which can also strip the hair of nutrients. Moreover, this harsh detergent can also reduce the moisture levels in your hair and cause significant damage over the long run. This chemical is usually used to increase the lifespan of a shampoo product. For years, shampoo companies have been using parabens to reduce waste and expiration. However, parabens are toxic and prolonged contact with the skin can cause lasting problems. Moreover, parabens can knock your hormones off balance, which can actually cause hair loss. If you are pregnant, or trying to get pregnant, parabens can be especially dangerous to your health and well being. A small amount of alcohol is not bad – it can help reduce bad bacteria. However, if you see that a shampoo has alcohol listed as one of the first three to four ingredients, you can probably guess that there is a lot of alcohol in the shampoo and you want to stay away. Alcohol can significantly dry out your hair if there is a lot of it in the shampoo formula. This is a chemical that is typically used to make plastic more difficult to break. If you add it to shampoos, it can become a dissolving agent that is supposed to help with cleansing. 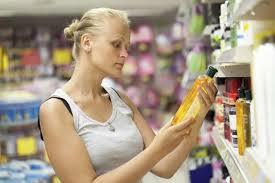 However, phthalates are highly toxic and you want to avoid at all costs. In the end, phthalates are also bad for the environment.